A light composition through LED and side emitting fiber optics. 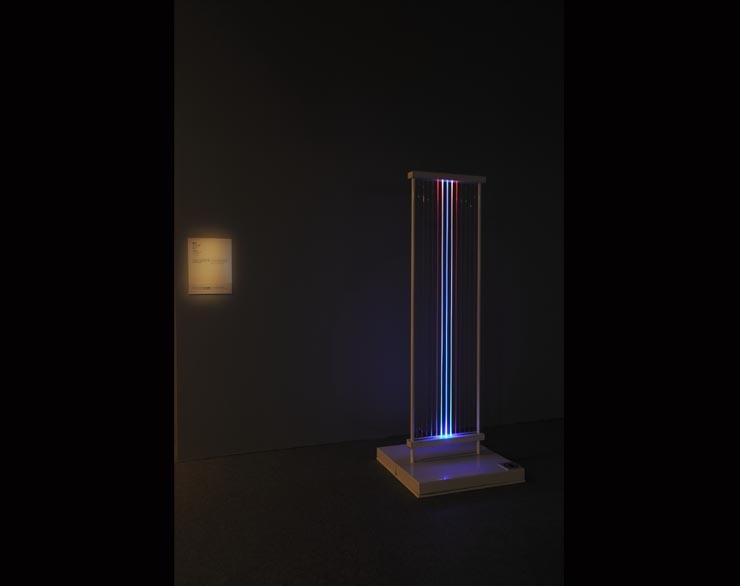 The light sequences changes based on the interactions of the viewers with the SMS module. A dialog between analog and digital.